Use the "I am a..." dropdown box to select your fee type. The development of Jung’s thinking was deeply influenced by what he encountered in medieval alchemical texts. Some of these treatises made use of Hebrew letters and were built around references to the Zohar, the central text of Jewish mysticism. While Jung made use of some Kabbalistic imagery, especially the Zoharic idea of the mystical marriage in his last monumental work Mysterium Coniunctionis, he did not explore other core ideas from the Kabbalah that could have influenced his understanding of the psyche. Similarly, he made a few references to Islamic archetypal themes and figures such as Khidr in the collected works. However, he did not explore Islam at any depth or become familiar with ideas from Islamic mysticism about the nature of the self and consciousness, or the levels of imagination beyond the psyche, which had been investigated by Sufi mystics such as Ibn Arabi and Suhravardi. In this light, there is a wealth of ideas and symbolism in the esoteric traditions of Judaism and Islam, which can deepen our understanding of psychological reality that have yet to be integrated into analytical psychology. In dialogue with each other and the attendees, the two analysts teaching this course will explore what the mystical traditions in Islam and Judaism can offer Jungian analysts and psychotherapists with a particular focus on their implications for clinical work with issues such as self, imagination, soul, desire and love. 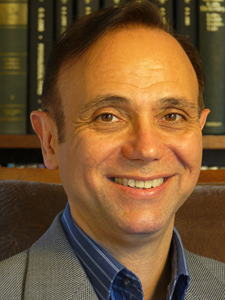 D. STEVEN NOURIANI, PHD, MFT, is a Jungian Analyst and a member of the C. G. Jung Institute of San Francisco. With special interests in mysticism and in bridging East and West, Dr. Nouriani has been presenting on various topics in analytical psychology at conferences in the US and abroad for two decades. 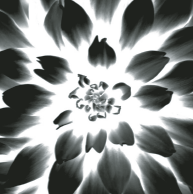 He teaches in the analytic training program at the Jung Institute and various Bay Area universities, and is in private practice in San Francisco and San Jose. 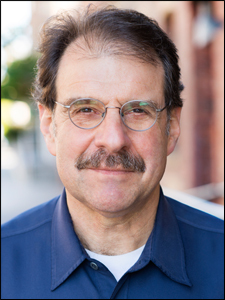 STEVE ZEMMELMAN, PHD, is an analyst member of the C. G. Jung Institute of San Francisco and Chair of the Institute’s Extended Education program. He has a private practice of Jungian analysis and depth psychotherapy in San Francisco and Berkeley. He is an Associate Clinical Professor in the Department of Psychiatry at the University of California at San Francisco, adjunct faculty at Pacifica Graduate Institute, and core faculty member of the Sanville Institute for Clinical Social Work and Psychotherapy.